The Beckham Hotel Gel is our pick for the best pillow which is made with quality material that is resistant to mold, mildew and dust mites. It can help those with allergies and it is resistant to stains and fading. It is a 2-pack product and is available in Queen and King sizes. Our step-up pick is the Snuggle-Pedic Ultra-Luxury Bamboo and it is made from polyester, bamboo viscose and a breathable cover. Its size is 20 x 54 inches and is made without the use of ozone depleters and other harsh chemicals like VOCs, unlike other bamboo products. 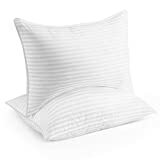 The budget pick is the Aller-Ease Cotton Hypoallergenic and is made with quality cotton for its cover and fiber for its fill to address the problems of people with allergies to bedding. It has a size of 20 x 54 inches and is easy to care for. A pillow is a kind of relaxation item that helps people to sleep peacefully. They are commonly found in a bed and can be of different sizes. The size can also vary depending on where it is located and where it is used for. Large beds will have larger sized ones while smaller beds that are mostly made for portability usage could have smaller ones. It helps you to relax properly so that it will sleep better without nightmares. There are many kinds of this item, such as throw pillows, square ones, hotdog-shaped ones and many more. There are also those u-shaped ones for traveling, that are commonly used today. These different kinds have various purposes. For instance, the throw pillows are meant for decorative purposes and the hotdog shaped ones are for hugging at night. Travel ones are the best for taking into vacation destinations. In beds, they can come in defined sizes depending on their bed size or mattress size, which can come in standard, square, standard square, queen and king sized. Standard sized items can be different from the decorative ones because they come in defined sizes. They can vary from 16 inches up to 36 inches depending on the size of your bedding. Different countries around the world could also have other unique styles. For instance, the Japanese dakimakura for hugging (usually has a picture of a character) and the Chinese rock pillows (believed to be therapeutic) are unique among others. There are also long hugging pillows, namely the guling from Indonesia and the abrazador from the Philippines. Other unique ones include the firestop pillows for fire resistance and the husband pillow for watching TV. 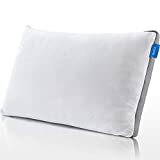 Type: there are many kinds of pillows out there, such as for the body, for traveling, for your bed, for cervical, for your neck, for lumbar support, for medical purposes, for body positioning, for pregnant women, for bed rest, for reading and special wedges. All of these uniquely shaped types of items are all important and they each have their own purpose. Size: most of those that are used for a bed can have different sizes, such as from king sized beds and for queen sized beds. Others that are meant to be decorative ones or for the sofa are usually smaller. You should check the dimensions first before you buy so that you will know that it will fit well. Hypoallergenic: a hypoallergenic item means that it will be okay to use even for those who have sensitive skin. This is important for people who have trouble when picking out the most ideal kind of material for them that they won’t get compromised for its quality. Ease of caring: you have to find one that is easy to launder so that you will not have trouble later on when you take care of it. The material should have instructions on how to wash it and dry it up so that you will not accidentally damage its fibers and other components. It is important to know about this when it comes down to caring for it. Reversible: most designs could be reversible, which is cool and can save you time on having to wash it. This means that you can use both side of the cover without any problem so that it will not always have to be washed on one side only. Resistance to stain or water: this makes the material or the outside cover much easier to clean. This is highly important when you want something that is easy to care for. Such kinds of items are usually much more expensive since they will be made out of unique materials. Color choices: color choice is important, as well as the design choice. There are different unique designs and colors to choose from out there, and you should match it with your current bedding or setting wherever you intend to use that item. For instance, it should match the color of your sofa as well. Materials used: while memory foam is the most popular today because of its therapeutic effects, there are other types of materials used for these kinds of items, such as cotton, regular foam, wool, down and down fill. There are also cheaper ones like polyester and much more expensive ones like cashmere, leather, silk, satin and sateen, as well as rayon. As our top pick, the Beckham Hotel Gel is made with very plush material that is resistant to mold, mildew, stain, fading and dust mites. This luxurious product is available in two sizes: King and Queen, and is free from harsh chemicals so it is allergy friendly. The only con but not a deal breaker with the Beckham Hotel Gel is that there could be seller specific problems and some received used ones instead of new – so be careful where you get it from. Our step-up pick, the Snuggle-Pedic Ultra-Luxury Bamboo, is good for side sleepers. With a thick support and a size of 20 x 54 inches, it does not contain VOCs and other harsh chemicals that other bamboo products tend to have. It is made with hypoallergenic and breathable memory foam. The Aller-Ease Cotton Hypoallergenic is our budget pick, which is great for allergy sufferers. At a size of 20 x 54 inches, it is made with a breathable cover made of cotton and has a polyester fiber fill that is okay for those with allergies. For those who want something for their bed, the Utopia Bedding Gusseted is a good choice because it comes in 2 shades and 2 sizes. It is hypoallergenic and easy to launder and is made without the harmful stuff for your skin. The Xtreme Comforts Hypoallergenic is good for allergy sufferers. It is made with memory foam and has a bamboo derived rayon cover and is excellent against mold and dust mites. It has micro venting so it is breathable to sleep on. For a wedge, the InteVision Foam Wedge is a good choice. It measures 12 x 24 x 25 inches and it has a cover that is easy to remove and launder. It is made with memory foam at 1.5 inches in thickness and it has 2 layers in construction. For travelers and backpackers, the Travelmate Memory Foam is the best choice for you. It has a u-shaped like others out there but it is the most supportive of all. It is made with quality memory foam and the velour cover can be washed easily. For back support, the Everlasting Comfort Orthopedic has your back. It comes with straps and is great for lumbar support and back pain relief. It has a mesh cover and also works well for driving for long hours to give you therapeutic benefits. If you are looking for memory foam, the NOFFA Memory Foam is a good choice because its cover is easy to wash and made from a combination of cotton and polyester for breathability. It is easily ventilated and is adjustable for its fluffiness. For pregnant women, the QUEEN ROSE Pregnancy is a good choice due to its u-shaped design and cover that can be easy to launder. This body supporting item is soft and is made with polyethylene filling and does not have harsh chemicals on it. Other pillows were not that comfortable so they were not in this list. They also had materials that could potentially cause allergies and the like so they weren’t very good for something that should be comfortable to lay your head upon. Q: What are the different types of material for this item to choose from? 1. Feather – this is one of the most common types of soft items because they are very fluffy. 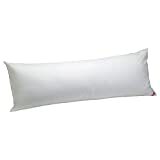 When it comes down to pillow fights, these are the most commonly seen as the filling of your item. Feather from birds such as goose, duck and the like are very easy to find and are also mostly sustainably harvested. They also tend to be cheaper at most, but vary in quality. Some can be stronger than carbon fiber yet very soft. 2. Memory foam – these are a new trend today that helps you alleviate neck and back pains, just as a memory foam mattress would. The memory foam has a distinct feature that is when you press on it, it retains the shape of when you press against it – hence it has a “memory”. It is used mostly by people who want to feel warm during the winter and want something therapeutic, but they may not be suitable for warm weather. 3. Down – down is harvested from the undercoat of birds, which is why it is a little harder to find and a lot more expensive compared to regular feathers. They are softer and much more puffy compared to feathers and this is why they are used in jackets and other items for the best kind of luxury there is. They are super cozy and are great for insulation as well – hence, they are used by countries who experience winter seasons. 4. Microbead – this is a type of synthetic sleeping item that is made with, well, beads. These beads are made from unexpanded polystyrene or EPS and they give you a similar massaging feeling as if you were in a spa. They are mostly seen as therapy items and can be found on most travel neck items that are commonly used by people on the go, so that they can relieve themselves from stiff neck and the like when they sleep. 5. Buckwheat – these are rarely used around the world but they are also very organic and natural. Buckwheat seeds have husks which are taken off an used for this kind of item filling. Buckwheat is a vegan replacement for down and feather, if that’s your ethics. For those who may not like rayon or bamboo, buckwheat is also a good solution because it is usually sustainably harvested. 4. Cotton – these are very much used in tropical climates where the heat can be a killer and nights can get really hot. Where feathers, down and memory foam might not do the trick, this kind of filling is much more suitable because it allows your head to breathe. Just don’t use it if your climate is super wet and humid because it can potentially smell bad later on and can be hard to wash.
5. Foam or latex – these usually come with cheaper beds because they are so easy to produce and cost less compared to memory foam, down or feathers. They don’t provide the best kind of comfort but they do provide support. They may tend to go flat later on but if you don’t have a lot of money for other expensive types of fillings, these are the options for you. They are widely available in most stores. 6. Synthetic fill – if you want a totally cheaper option, go for a synthetic fill. These are also widely available like foam or latex. Synthetic ones are mostly done for throw items and for decorative ones, so they are not meant for total relaxation, unless in an emergency. Synthetic fibers and fills usually cost the least because of their ease of production. This is meant for those who absolutely have no budget for other fills whatsoever. 1. Sleep apnea – these types are meant for, well, sleep apnea. Usually made out of foam, polyester fibers or similar items, they are meant for sleeping while you are with a CPAP machine, so they can provide you with the best comfort due to their distinct shape. 2. Neck or travel – these are super popular today and look like horseshoe-shaped items. They are taken along by travelers or those who backpack on a regular basis so that they can sleep while on a moving vehicle and sitting down. It alleviates stiff neck and other neck problems, hence the name. They can also come in a wide range of designs, mostly with colorful characters and the like. They can also make a great gift item for the holidays. 3. Body or long hugging – these are the hotdog-shaped long hugging types that can range somewhere around 54 inches in length. They can be used for support in any stage of life. Kids and adults alike can use them for hugging comfortably and even pregnant women can use them. They are great for adding support to your lower back – and they make great hugging buddies at night. 4. 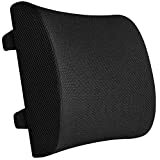 Lumbar – for absolute lumbar support, these are the way to go. Lumbar support is for lower back pain so they are mostly needed by those with the need to support their lumbar area. They can be available in most stores and are also considered as an orthopedic type of item. 5. Wedge – these also tend to be support items and orthopedic types and are ideal for those with acid reflux and for babies as well. They are shaped like a wedge or a slice of cheese and they have a higher top and a lower bottom. In some cases, they can also be used for your legs so that you can have a resting area for your knees and joints. Some pregnant women may also want to use these items. Q: For beds, what are the common sizes of this item? - Euro types are meant for European beds and they usually have a square profile. - Standard types and super standard are the best for most regular sized beds. - You are allowed to mix these sizes depending on your needs. Q: Are there differences between down and feather as fill material? Down tends to be much more durable than the rest of the competition. Feather usually doesn’t last long enough compared to down. A combination of both may be a little more durable than just feather. Down is expensive in most cases. Feather is a lot cheaper than down because it is easier to harvest. A combination of both makes the product at a middle range of price. The best in support and comfort with no quills. It has quills so they can potentially make your sleeping experience uncomfortable. The mix of the two can have a balanced support. They are a mix of fibers which come from the undercoat of a bird. They are the feathers that make up the coat of a bird. They are a combination of feathers and down. Measured in either down fill power or fill weight. So far has no means of measuring. Might be measured the same as down. They tend to be smaller than the rest of fill powers. The biggest of all in each cluster, similar to a U.S quarter in terms of size. Mattress toppers and pillows that are of luxury grade. 1. You should keep it clean from oils, such as from your skin, from creams and the like. They can potentially reduce the quality of the down and feather because they have been contaminated by the oil. The best you can do is to wash properly at night or reduce night cream usage altogether. 2. You should protect it from moisture. When it is too humid in your area, consider a dehumidifier or just dry it up nice and clean and thoroughly so that it will not retain moisture. Make sure you have instructions for cleaning it, so that you will not damage it from too much water. 3. You cannot avoid the fact that it might compress or go flat all the time, but this can be alleviated if you don’t sit on your (potentially expensive) down or feather fill item. Compression usually happens with any kind of sleeping item but the best way to help reduce it is to have a quality case as well. Q: What are the benefits of memory foam as a fill? 1. There is no need to flip or adjust because all sides are comfortable. 2. It helps to reduce snoring due to its contouring property. 3. It adjusts to the shape of your head just as a memory foam mattress would. 4. 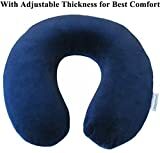 It can be used for alleviating stiff neck when traveling. 5. Many shapes and sizes can be available for this kind of fill. 6. It helps a lot in spinal alignment for when you sleep or rest your head. 7. If you buy a memory foam mattress, chances are, they might include one of these. Q: What are the differences between latex and memory foam? Latex bounces back because of its natural rubbery feel. It is slow to bounce back because it retains the shape of your head or body part. Latex is natural and is made from plants. However, they can also be man-made in some cases depending on where they were made from. Memory foam is purely manmade when it comes down to its material composition. Latex tends to be heavier because of its construction. Memory foam tends to be a lot lighter in construction. Latex tends to be cheaper but genuine latex is also expensive at some point. Memory foam is known to be a high price tag item for filling. Q: What are the advantages of having a neck or travel sleeping item? 1. It helps alleviate stiff neck while you are sleeping in an awkward position. 2. It provides support for both your neck and your back. 3. It comes in a wide variety of shapes, sizes and colors. 4. It can make a great gift for someone in any occasion whatsoever. 5. It is usually travel friendly and is easy to lift. 6. There are many fills to choose from (e.g. memory foam, gel or microbeads). 7. They aren’t theft prone because they are usually cheap. 8. You can ensure a proper posture while you sleep with it. Q: What are the different kinds of orthopedic sleeping items and what are they used for? Q: Why are throw pillows so important? 1. For babies and younger children – they offer a lot of support and safety so that they won’t easily fall or hit their head. They can be placed in areas where you know your children or toddlers might crawl on and potentially get injuries without the protection of such items. 2. For your body – it helps a lot in spinal alignment because it is still a kind of support for sleeping or even for sitting down. If you have been sprained then using this kind of pillow on the couch can help you to feel relieved. Additionally, they can also potentially reduce snoring if you sleep on the sofa. 3. For your mental health – most people like to either punch or cuddle any kind of soft but durable item wherever they are, whether on the living room or in a bedroom. They can be like your best friend when you feel sad or when you secretly think about your crush. Added to that mental health positive effect is the fact that pillow fights can be great and fun activities not just for kids but for any age. 4. For other things – you can use them while you are watching TV, reading a book, going somewhere (traveling) or basically doing anything, so long as you don’t spill coffee or chips on it to make it hard to clean later on. Because they aren’t like bed types that easily get soggy once they get dirty, these ones are usually stain resistant and water resistant so there’s almost no problem cleaning them. Q: What are the different criteria for picking the right throw pillow? a. Single color – a single color type item is usually the best for those who like to keep it simple and clean. These colored items are very easy to find anywhere, but it is just the matter of picking the right texture (see below) and the fill material as well as the cover material for the case. Single color works if you need to match with your sofa or couch or to present a less complicated design altogether. b. Patterns and designs – these work well if you want a fancier way of decorating your home. These designs can vary depending on your preferences, but the color schemes should also match your sofa or any upholstery that you might want to put them in. Consider consulting color charts to make sure that the colors are okay with each other. Some people may also want season specific designs to match the time of the year with their chosen item cover. c. Different sizes – size does matter when it comes down to choosing one. For example, a large sofa may look weird if you put super small ones, or a small couch or chair may look odd if you put something that is too large on it. d. Textures – consider if you want a silky texture or a rough texture. Silky textures are the best for your hair and for a luxurious sleeping experience, but they may be hard to set on most surfaces. Rough textures can be easier to set and easier to wash, however, they could be hard to sleep on at most. Textures can be defined depending on the cover item and its material composition (e.g. silk or polyester). e. Statement – some of them may also have statements – kind of like statement t-shirts, such as inspirational and motivational quotes and the like. These are really cool as a gift or for yourself, so that you can express yourself using your comfort items, whether in the living room or in your own room. f. Shape – some of these uniquely designed items have special shapes. For example, some can be donut shaped, some have triangular, circular or even star and diamond shaped designs. It depends on what you are trying to pull off with your design so you can choose even the shape of this kind of item for an added depth and attraction for your guests (and for yourself), usually for aesthetic purposes. g. Fill material – consider a fill material that is comfortable yet easy to clean, since these pillows, other than being decorative, will be used in the TV room at most, so they need to be spill proof and food proof. Consider synthetic materials for ease of caring, especially around guests. 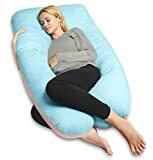 Keep your down, feather and memory foam stuff in your own bedroom so that they won’t get compromised by greasy hands while watching your favorite Netflix shows. Q: What are the differences between feather and cotton fill? Tends to be very soft, with no quills to pluck you in the middle of the night. Softer than cotton but has the risk of quills to pluck you. Usually the cheaper option for those who have low budget because they are common. Usually more expensive because they are organic and sustainably harvested. They tend to be used for summer and slightly humid climates, such as in the tropics. They tend to be used in colder, 4-season areas of the world because of insulation, much like down fill. Cotton is sourced from the cotton plant. Feather is sourced from birds. The problem with cotton is mold and mildew, so it should be dried properly. The problem with feather is that it needs to be adjusted every single time you sleep. Q: How are cotton fills and polyester fills different from each other? a. It is usually very organic and free from manmade materials so it is skin-friendly. b. It tends to be more hypoallergenic than polyester. c. They are easy to care for in general. a. They can become hard when used for a long time. b. They are not good with moisture and mold. c. They need some special care when washing to avoid deforming. a. They are the cheapest fill available in the world today. b. They can be easily washed without deforming. c. They offer a good amount of support. a. They aren’t organic so they may not be good for people with sensitive skin. b. They may not be as durable as other types of fills. c. You need to clean them more often in case of dust mites. Q: What choices do I have when it comes down to cases? a. Satin – this has been hailed as the most luxurious type of material because it is made out of expensive and shiny material that can help keep your face and skin smooth when you get up. If you can afford them, they are one of the best to go for. b. Cotton – this is a slightly cheaper option and the best for really hot climates that need comfort from hot and sleepless nights. They are gentle for your face and skin but do not offer the same kind of smoothness as with satin. c. Flannel – this is similar to cotton but can be a great insulator for the cold weather. They are also soft, warm and fluffy and tends to be more loose compared to that of regular cotton. d. Winceyette – a reversible material, it is also from cotton and is a variant that makes it feel like flannel at some point. It tends to be on the lighter side of things and is ideal for summer seasons as well. e. Linen – this one is also organic and comes from the flax or linseed plant. They are of high quality as well and they tend to be more expensive nowadays compared to back in the days. If you have once had linen sheets and cases, they might be worth more today than before. f. Polyester – this is man made material that is usually the cheapest of all. They can be durable but they don’t feel like organic or natural fiber. They don’t absorb moisture compared to cotton so the two are most likely put together to get the best of both worlds in terms of absorbance and durability. g. Velvet – if you want to go for silk that is a bit similar to satin, this one is great for your skin because of its smooth feel. There are also instances of velvet that are made from a combination of polyester and cotton. They are one of the most common types if you want a cheaper option from satin. h. Nylon – this one is also manmade and it is also not very absorbent, but it is great for easily drying it up without a problem. It sometimes look a bit like satin due to the silky smooth texture. In case you want an easy care material that dries up quickly, this is the one to look for. Q: Why is a body type sleeping item important? 1. It is mostly made of natural ingredients like cotton, wool, kapok or latex. 2. They can help support those who sleep on their side. 3. They’re great for hugging at night. 4. They can be sandwiched between your legs for better support. 5. They can also be used by pregnant women. Q: How do I get rid of stains from polyester types? 1. Clean it up immediately after staining. 3. Use a pre-treating method with a detergent. 4. Rub the stain in every direction while in the detergent. 5. Wring it up to remove the water. 6. Hang it out to dry. Q: What is a dakimakura and what are its benefits? 1. It supports side sleepers and is healthy for your body posture. 2. It supports emotional health for when you feel sad or depressed. 3. It is also a stress reducer for when you cuddle it at night. Q: What are the benefits of a pregnancy pillow? 1. It helps calm down pregnant women when they sleep. 2. It provides a deeper sleep for women. 3. It gives adequate support for them. 4. It helps in blood circulation and heart rate. 5. It can support your baby better. Q: What are the right ways to clean different fills? Q: What are the benefits of a silk case? Q: How do down fills compare with synthetic? Q: What are the misconceptions about bamboo or rayon sleeping items? Not always true, because some of the residue to make them end up in the oceans, and also uses carbon disulfide, which has been known to be carcinogenic at some point by studies. Not always true – they are made of rayon – and it’s only the cover! They are nothing but memory foam fills with a rayon cover. So far, there are no scientific claims on this fact yet. To summarize the article, we think that the Beckham Hotel Gel is our pick for the best pillow because of its mold and mildew resistance and a great value for 2 items in just one.